It is our pleasure to have Dr. Don Davis, senior vice president of World Impact and the founder and director of World Impact’s Urban Ministry Institute, as our guest for the next NAB Leadership Teleconference. At World Impact and The Urban Ministry Institute, Dr. Davis oversees the training of urban missionaries, church planters, and city pastors, and he facilitates training opportunities for urban Christian workers in evangelism, church growth, and pioneer missions. He also leads the Institute’s extensive distance learning programs, which includes 273 satellites in eighteen different countries around the world. Dr. Don Davis will be one of the main speakers at Triennial next July in Edmonton, Alberta, and we thought this would be a great opportunity to get to know him and hear his heart for the city, the urban poor, and racial righteousness. 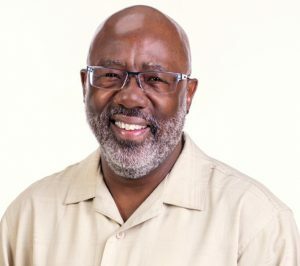 The issue of racial righteousness, and the systemic injustice that usually accompanies it, is one of the key priorities and initiatives in the NAB, and we’d love to have Dr. Don Davis speak with us, answer questions, and lead us into a deeper understanding of this issue, as well as others that the church faces today. We invite you to join us for this next teleconference on Thursday, August 24, at 11:00 AM PST. There is no book to read beforehand. Simply come with a curious heart and a desire to learn as we seek to grow deeper together as an NAB family and learn how to better love this world that is so cherished by God.